"We have a very good package along with the aircraft - best weapons, India specific enhancement, longer industrial support commitment...we have a lot of advantages in the Rafale deal," Air Force chief BS Dhanoa said. Air Force Chief BS Dhanoa said the IAF was consulted on the acquisition of 36 fighters. 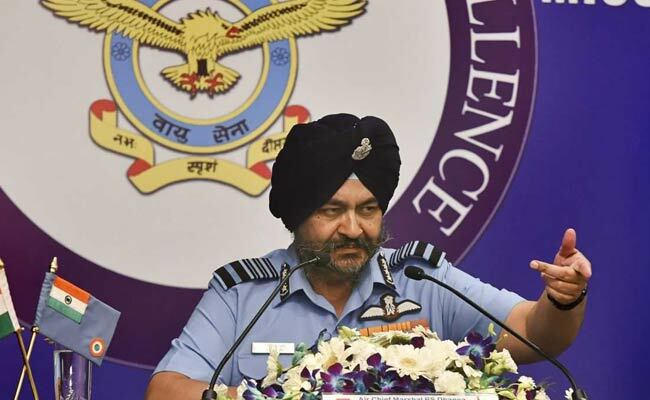 In the middle of a massive row over the Rafale fighter jet deal, Air Chief Marshal Birender Singh Dhanoa said today that it was a "very good package" for India and the jets would be a "game-changer". The Air Chief also said the government or the Indian Air Force (IAF) had nothing to do with the selection of the offset partner for Rafale-maker Dassault in the deal for 36 fighter jets. "It was Dassault that was to select an offset partner and the government, IAF had no role to play,"said the Air Chief, speaking to reporters on the deal that has caused political convulsions in an election year. He also said the IAF was consulted on the acquisition of 36 fighters - instead of the original plan for 126 jets negotiated during the previous Congress-led UPA rule. "Rafale will be a game-changer when it comes to the subcontinent", Air Force chief BS Dhanoa said. "Rafale will be a game-changer when it comes to the subcontinent, it has many capabilities. We have a very good package along with the aircraft - best weapons, India specific enhancement, longer industrial support commitment...we have a lot of advantages in the Rafale deal," he asserted. "The IAF had listed its options - this was one of them," he added. The government, said the Air Chief, took a "bold step" and gave a "high performance, high-tech aircraft to the IAF to offset the capability of the adversary". Rs 9.73 billion dollars in offsets have been cleared for the IAF alone in 28 of 47 contracts signed. 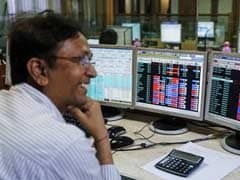 "(HAL) Hindustan Aeronautics Limited got only 400 million dollars plus of this," he said. Political sparring over the Rs 58,000 crore deal signed by Prime Minister Narendra Modi and then French president Francois Hollande in 2015 exploded last month as Hollande - now out of office - said in an interview that France was not given a choice in the selection of Anil Ambani's inexperienced Reliance Defence as an offset partner for Dassault. The Congress and other opposition parties have alleged that state-run Hindustan Aeronautics Limited (HAL) was unceremoniously dropped in favour of Anil Ambani's company. Asked whether he though HAL was not capable, the Air Chief listed several projects where there had been delays. He said HAL had not been left out. "HAL has met overall production targets. But there has been a lag in the delivery schedule of HAL," he said, referring to delays in Sukhoi 30, Jaguar, Mirage 200 upgrade. To another question, Air Chief Marshal Dhanoa said: "We had reached an impasse. We had three options, first was either to wait for something to happen, withdraw RFP or do an emergency purchase. We did an emergency purchase. Both Rafale and S-400 deal is a booster deal for the Air Force." The deal for S-400 surface-to-air missile systems will be signed this week when Russian President Vladimir Putin visits India, Kremlin announced yesterday.